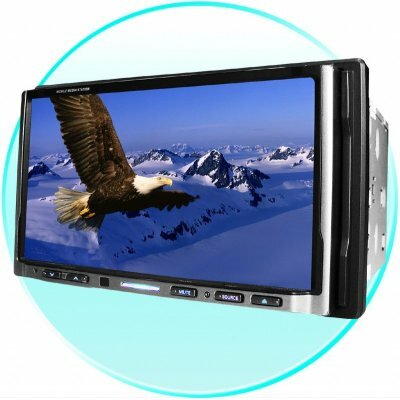 Successfully Added 2 Din Car DVD Player With 7 Inch Touch Screen -PAL Tuner to your Shopping Cart. This Car Entertainment System is equipped with a fully graphic OSD menu and Touchscreen ability, making navigating the menus very easy. Added to this, the wholesale 2-Din Car DVD Player comes with a fully motorized in-dash monitor on an extra large 7 inch high color TFT-LCD screen. Finally it comes with a built in TV Tuner a FM/AM Stereo Receiver and multiple format, Bluetooth calling and a region free disk player. This Wholesale Made in China Car DVD Player is worth a look if you or your customers are considering an upgrade in Car Entertainment. This product uses a PAL TV tuner, an NTSC tuner is available when ordering more than 10 pieces - please contact customer support ..